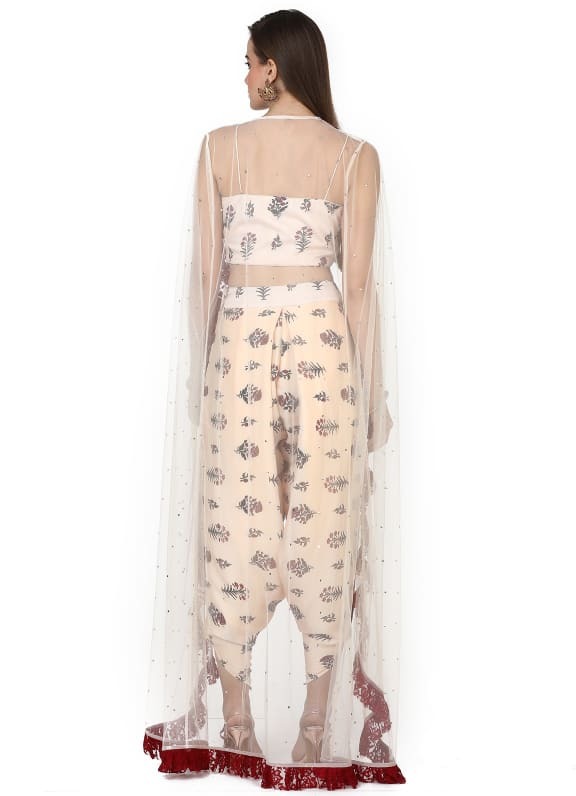 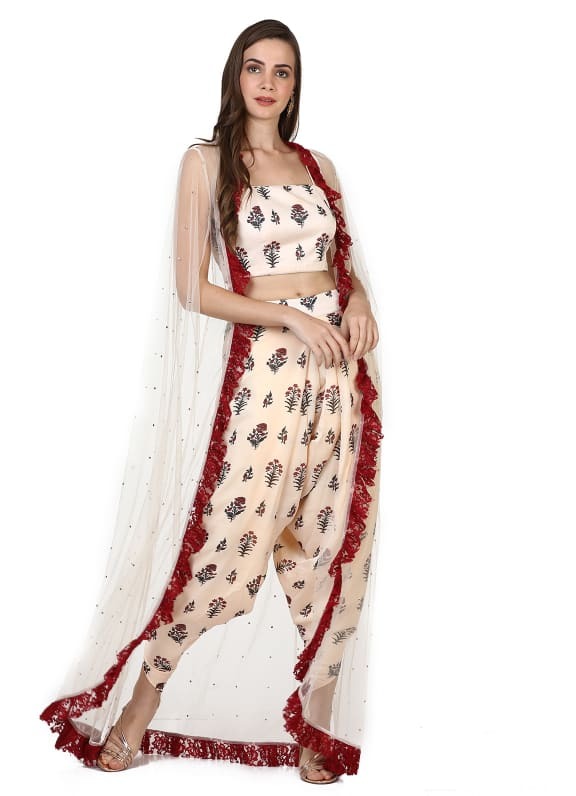 This set features a cream floral printed dhoti pants in crepe. 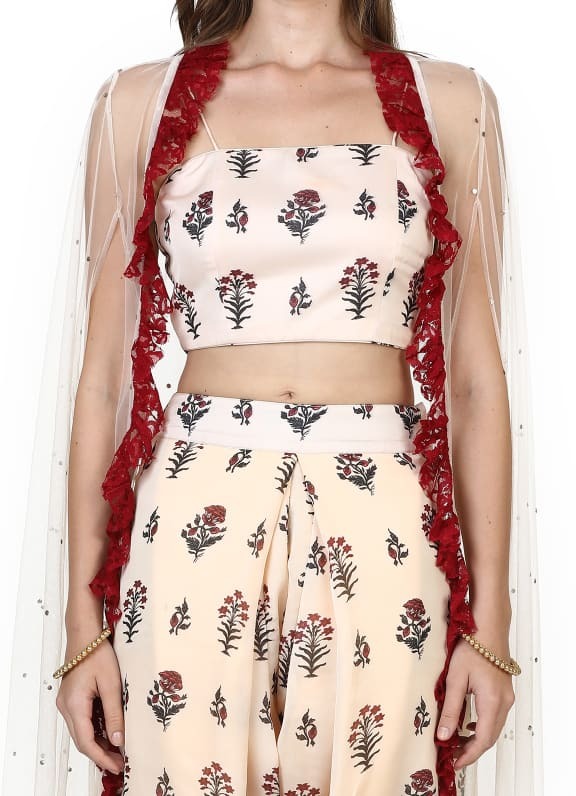 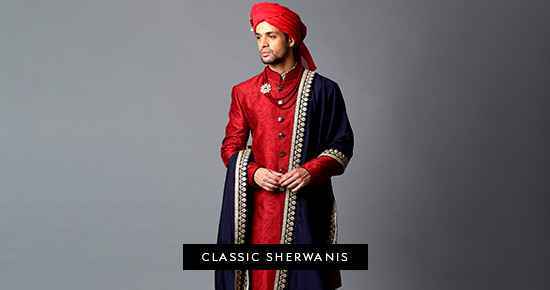 It is paired with a matching blouse and a mukaish embroidered net cape with maroon frill detailing. 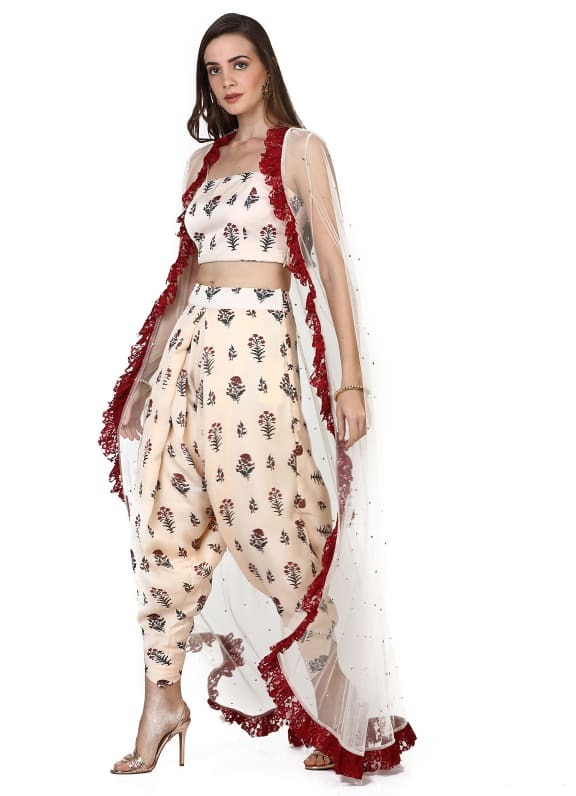 Fusion at its best, wear this stunning ensemble with a pair of Amrapali earrings and Amethyst bangles.